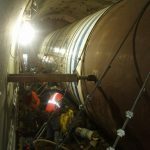 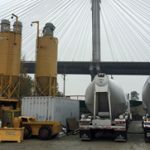 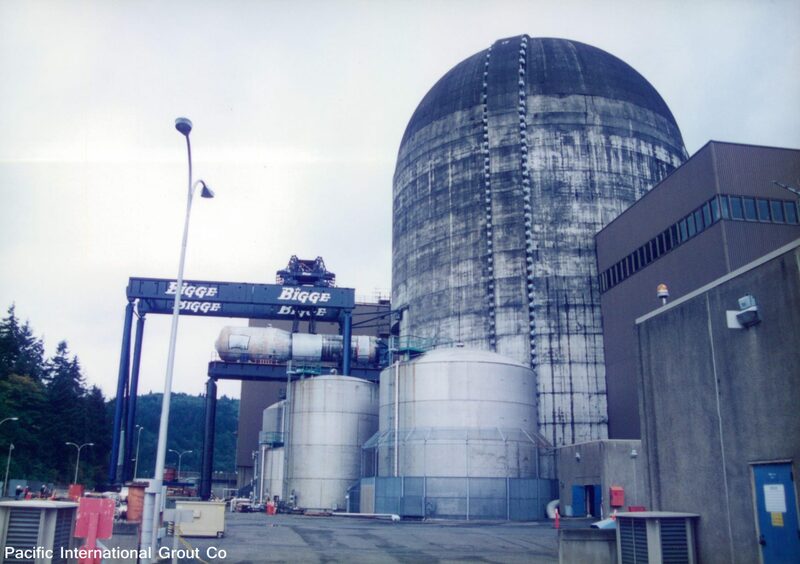 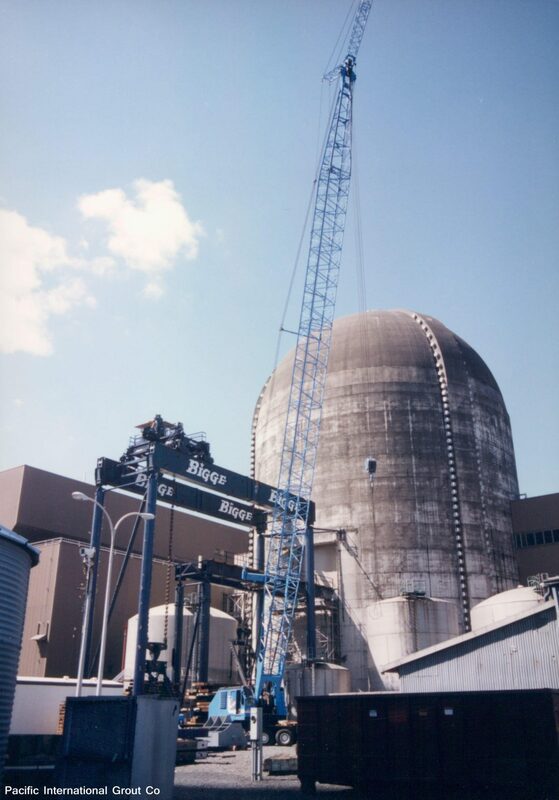 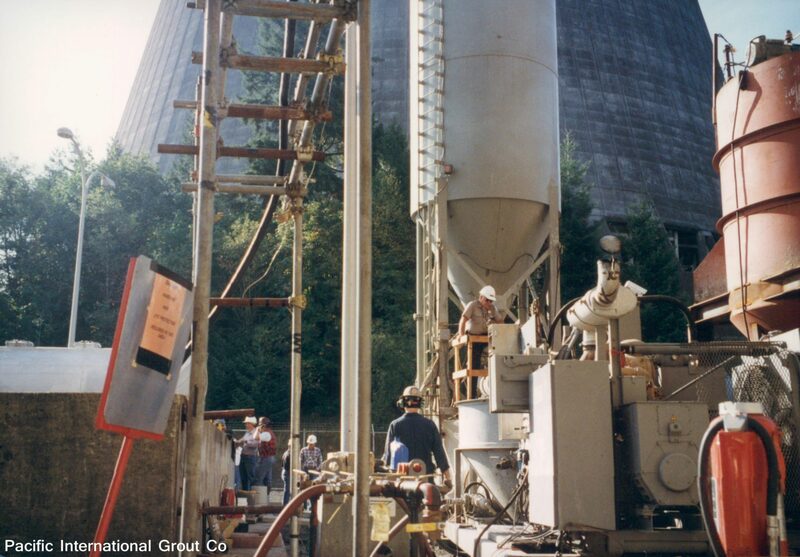 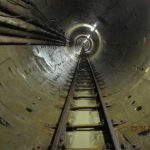 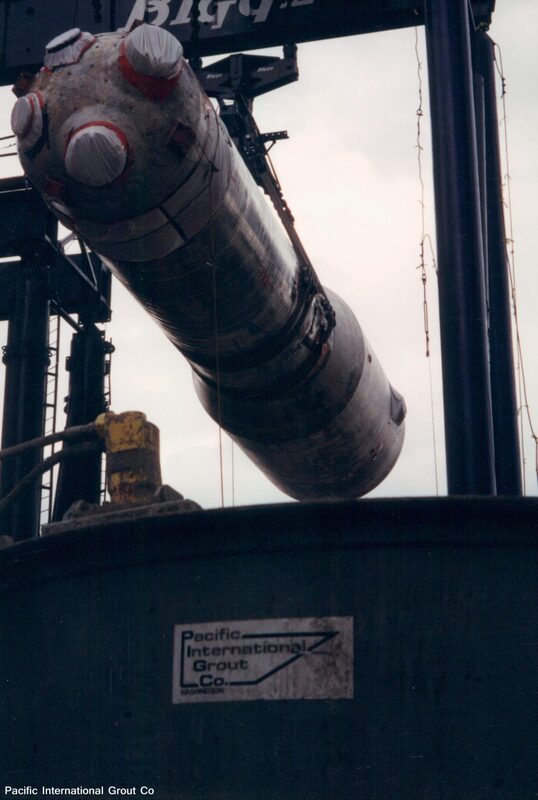 Pacific International Grout Company has successfully completed nine (9) decommissioning projects encapsulating nuclear reactors, generators and plutonium sludge utilizing specialty formulated low density cellular concrete. 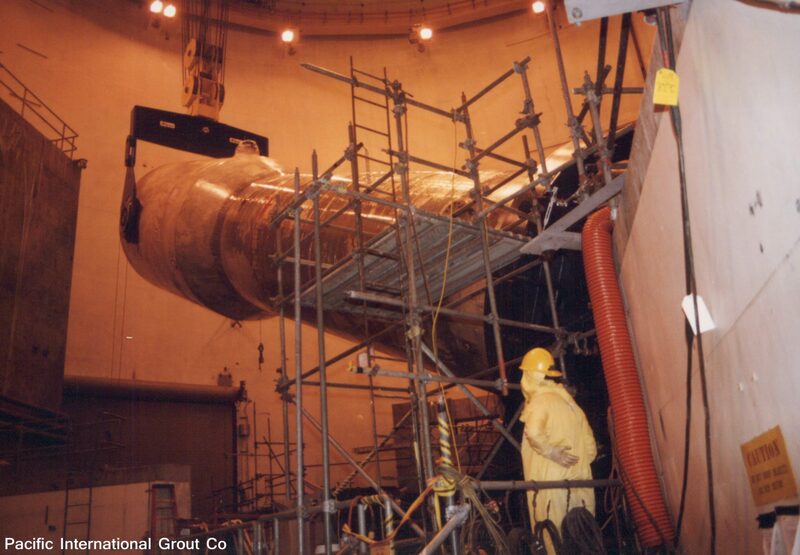 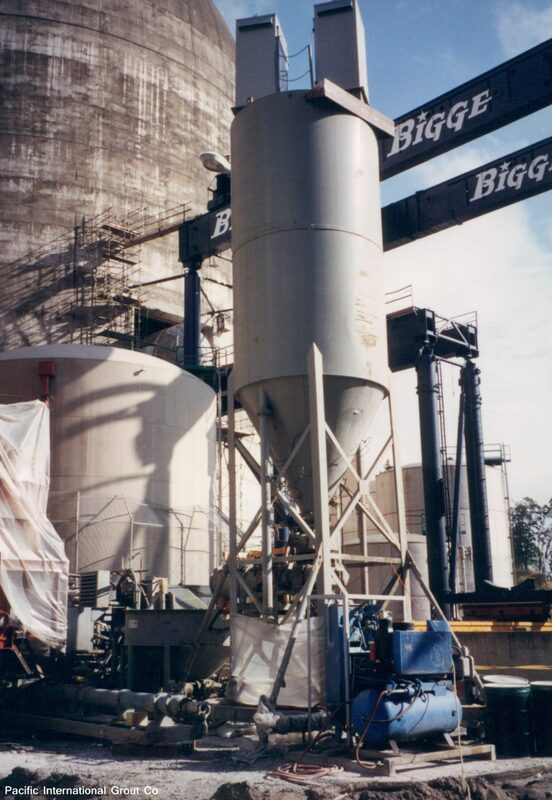 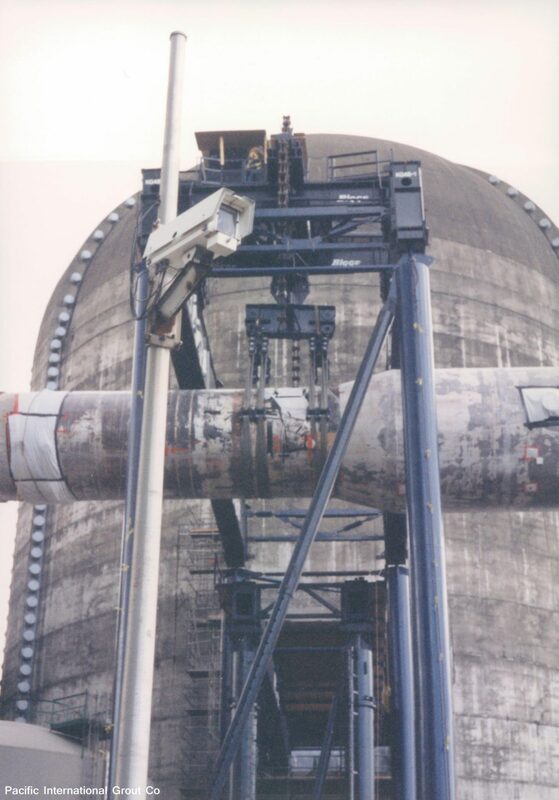 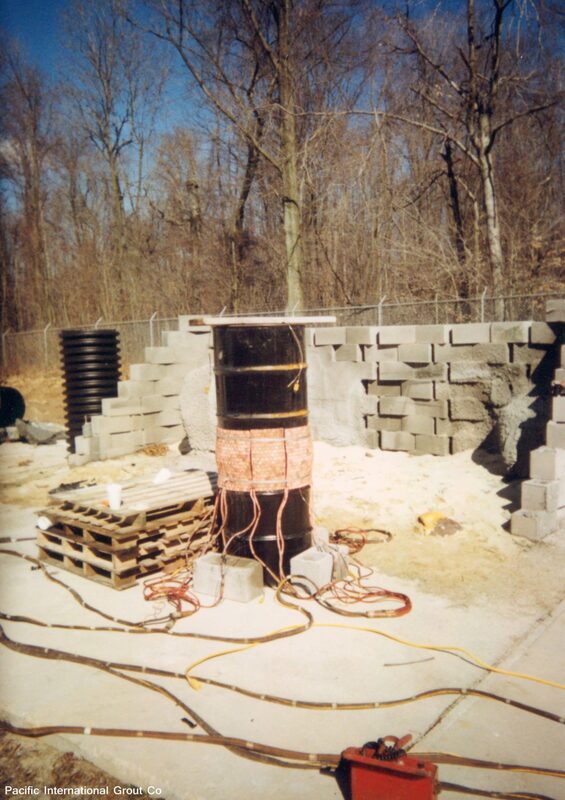 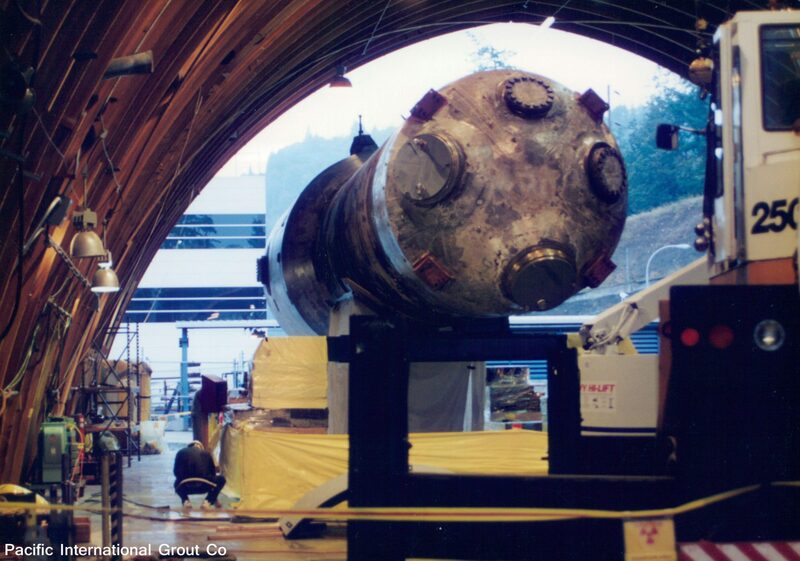 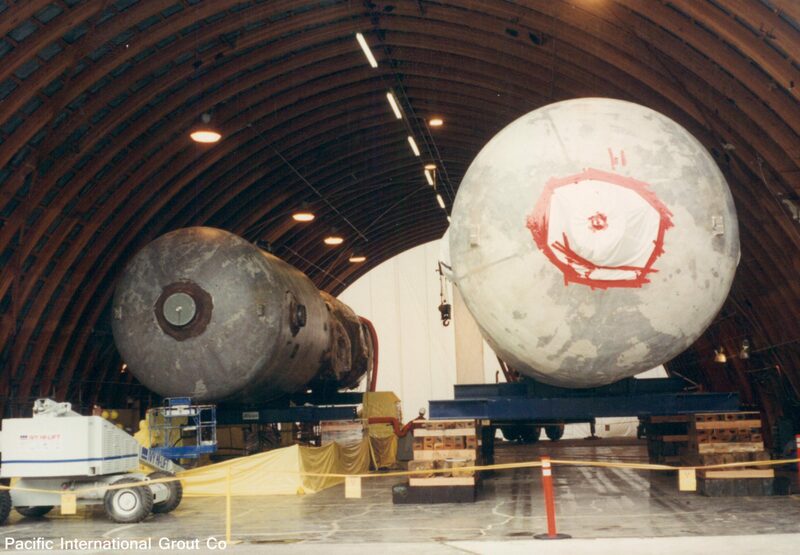 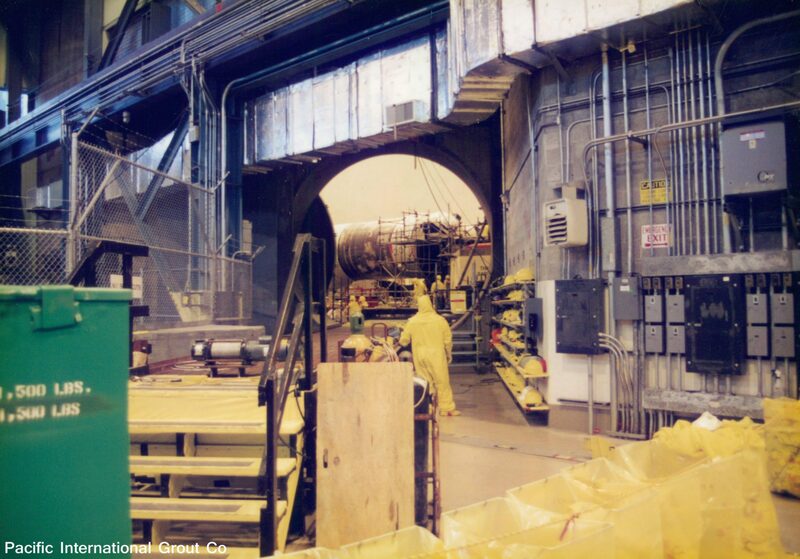 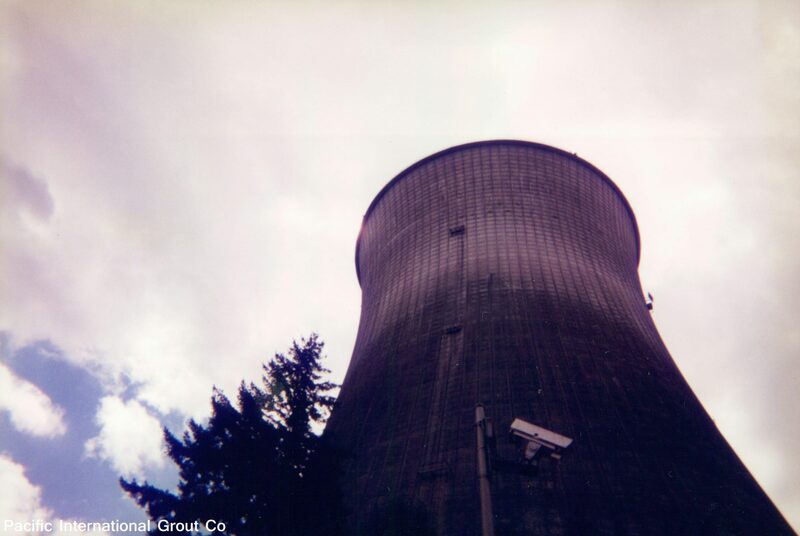 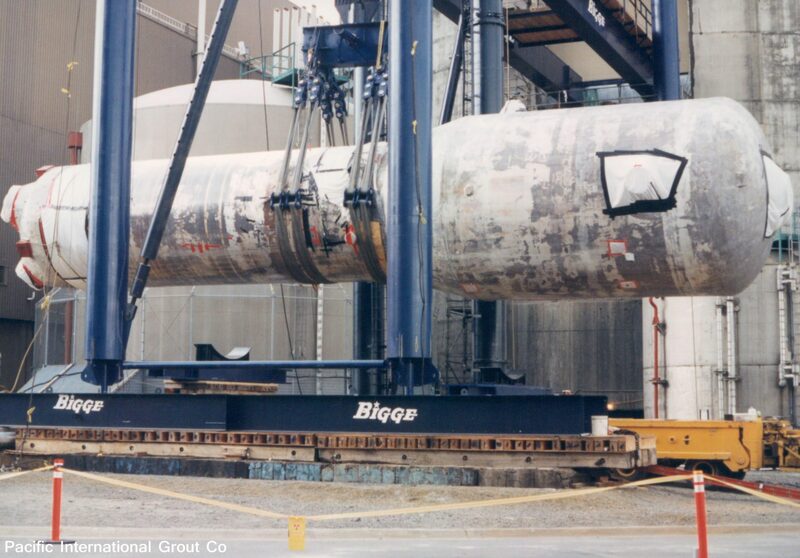 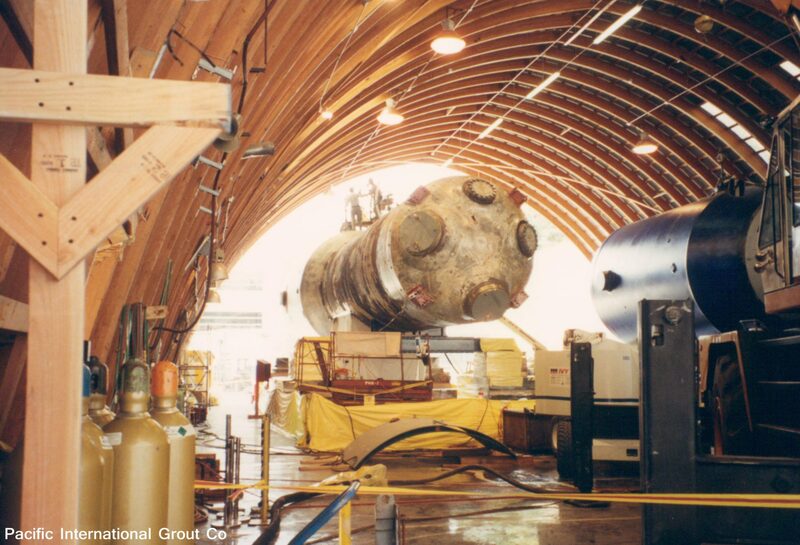 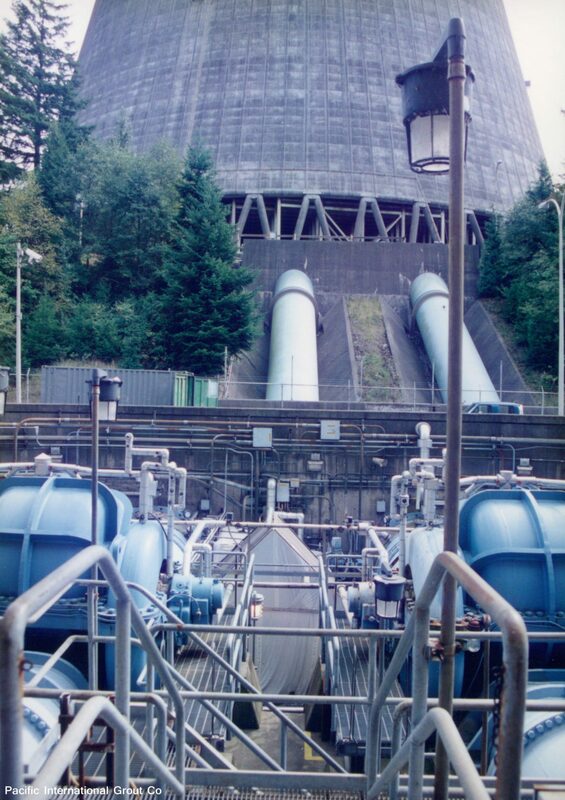 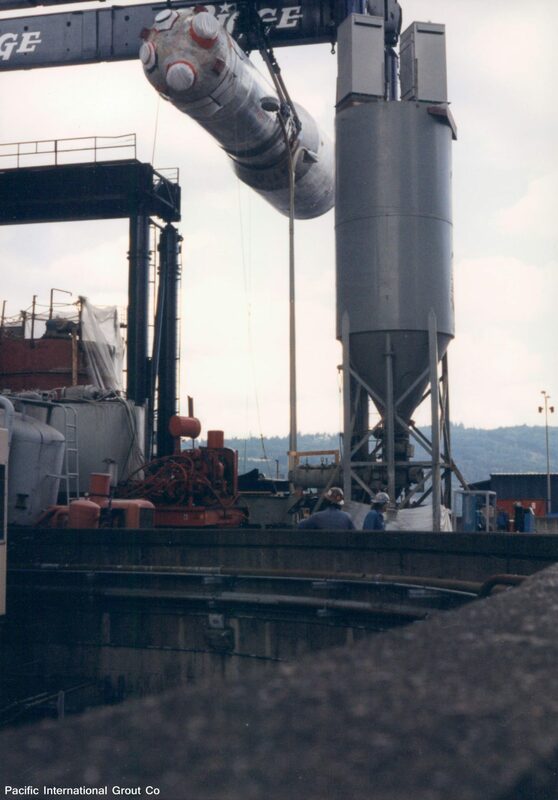 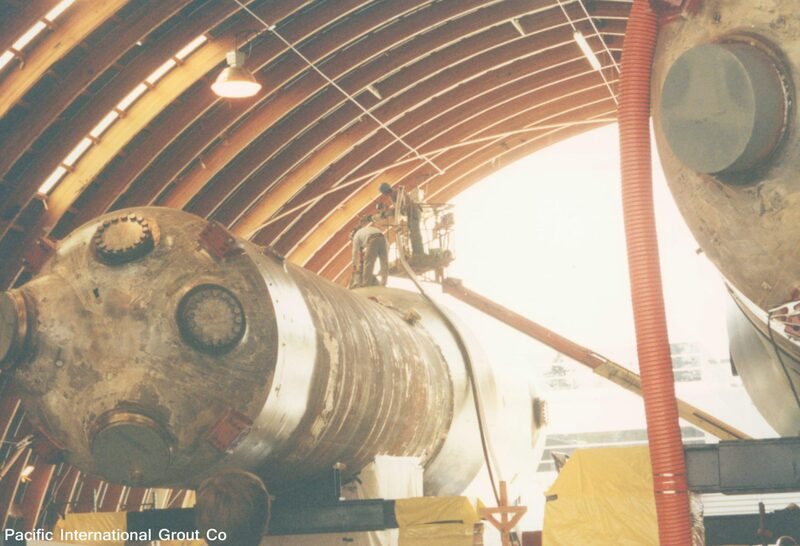 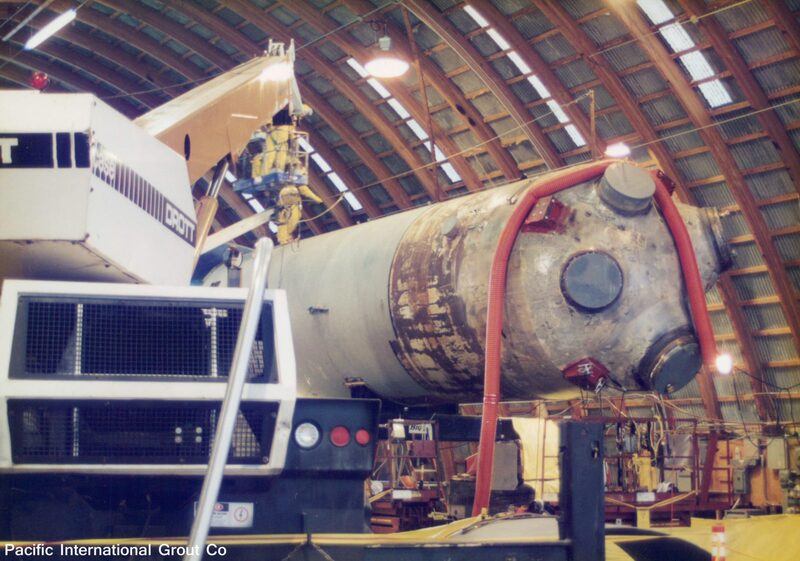 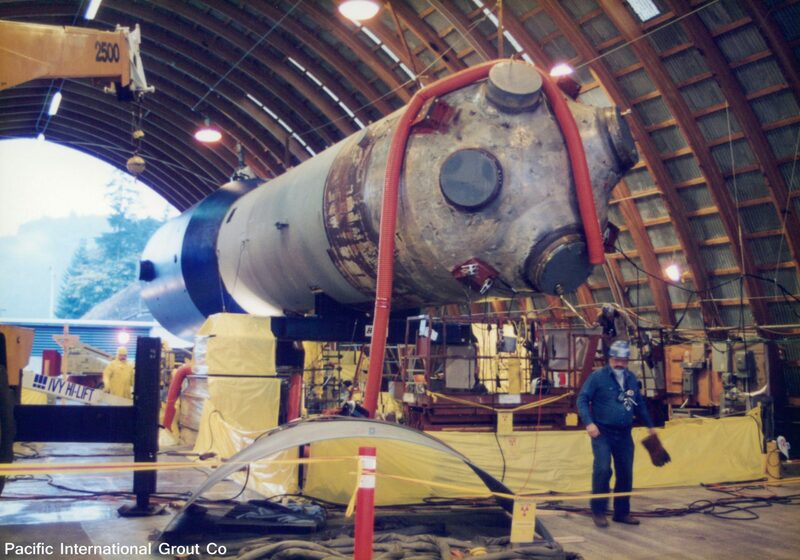 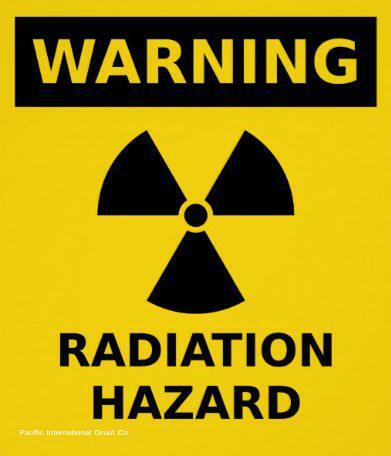 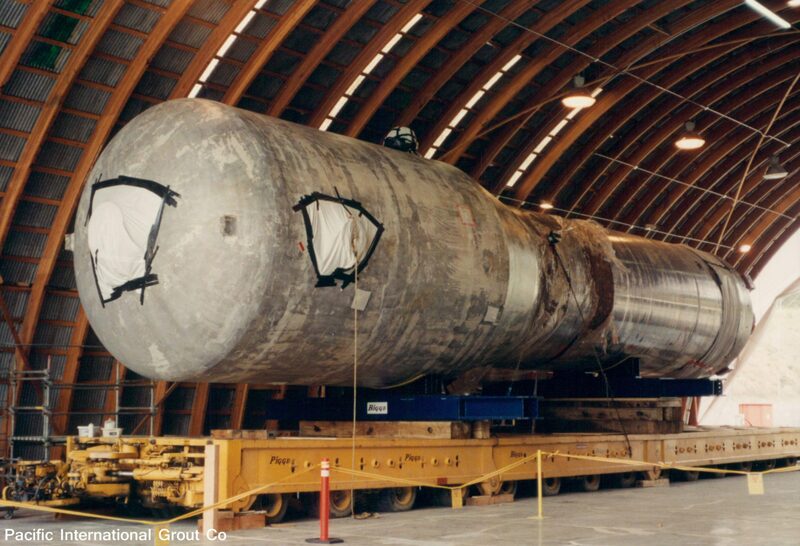 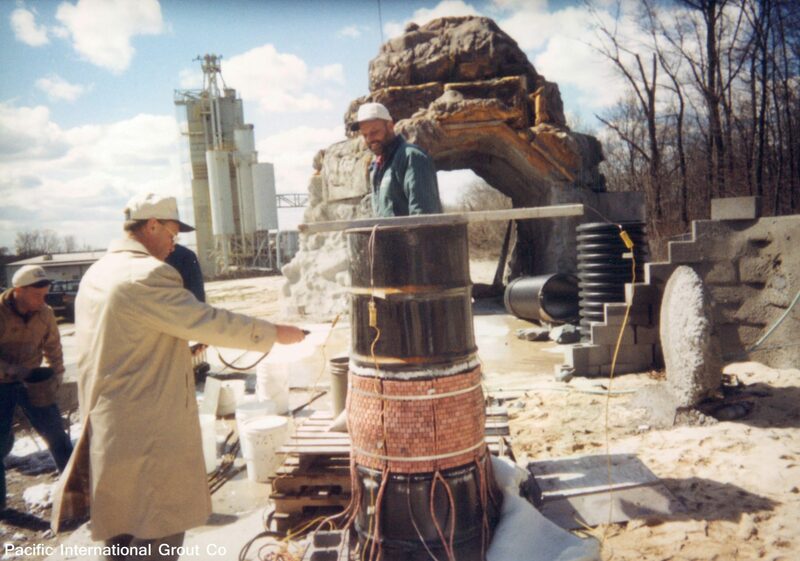 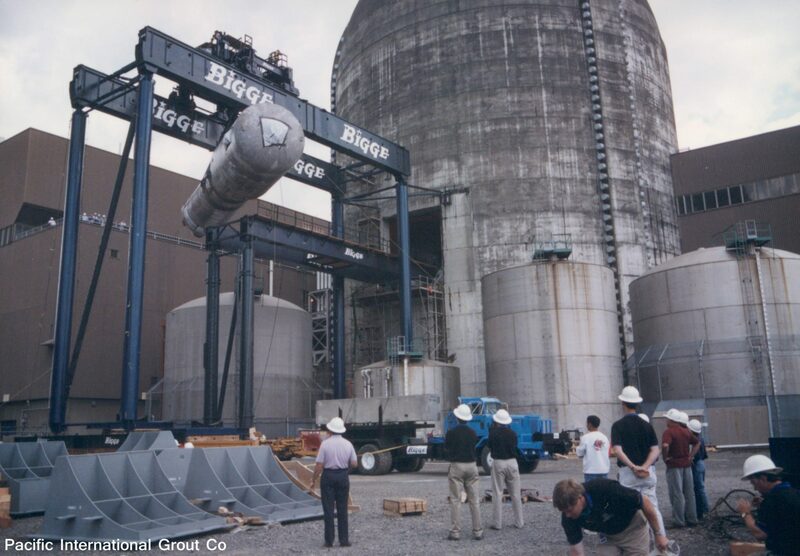 Large components such as reactors and steam generators are filled with radioactive absorbent grout and removed from their containment buildings and packaged for transportation to designated disposal sites. 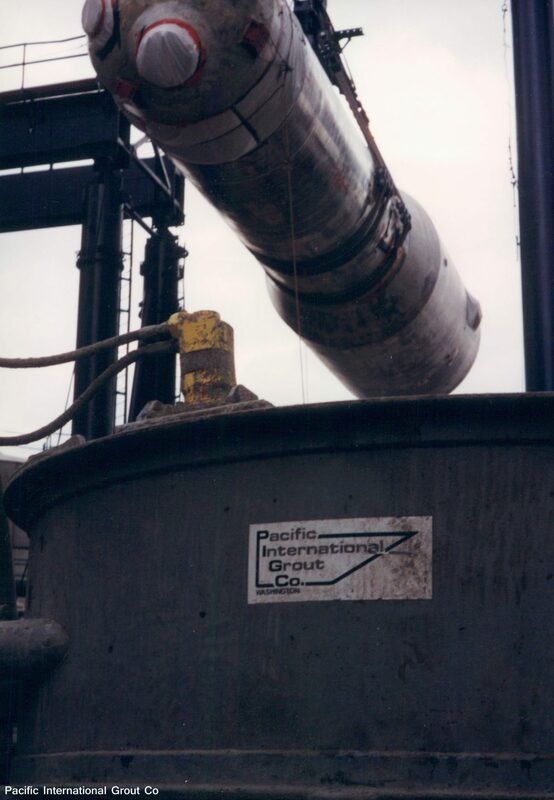 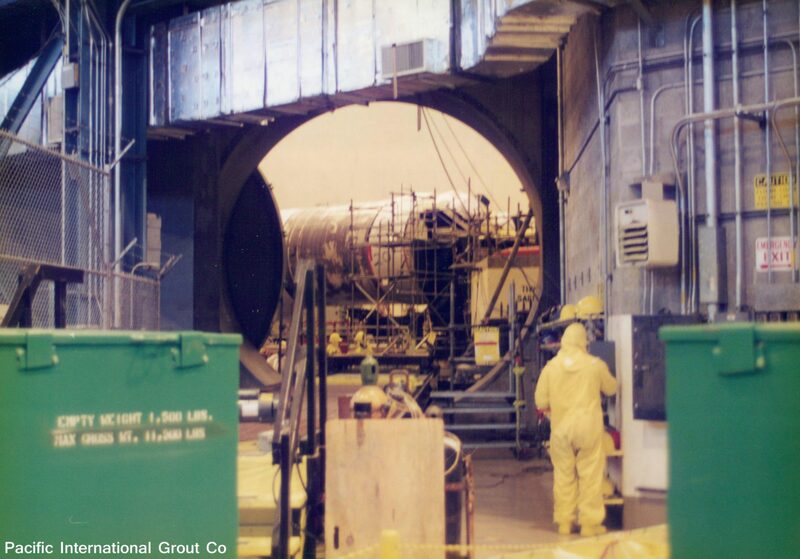 Pacific International Grout Company was contracted by Thompson Mechanical to test and fill 20 foot deep pools of highly radioactive sludge at the Department of Energy’s site in Hanford, Washington. 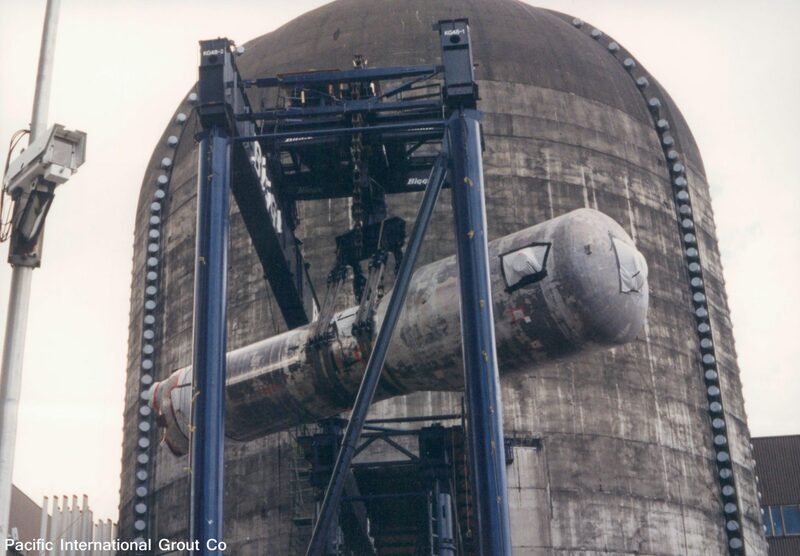 The K East and West basins contained 2,300 tons of irradiated fuel wastes, largely Plutonium, for the nation’s weapons programs. 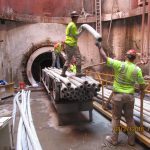 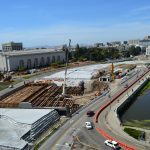 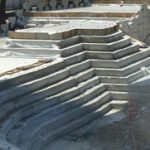 Pacific International Grout Company engineered a grouting process that would encapsulate the sludge, harden at low heat of hydration and not cause the water to be turbid. 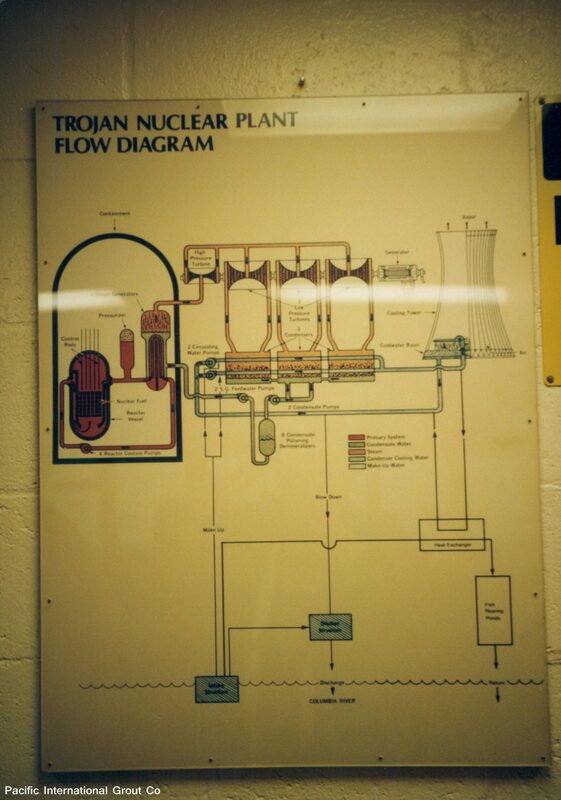 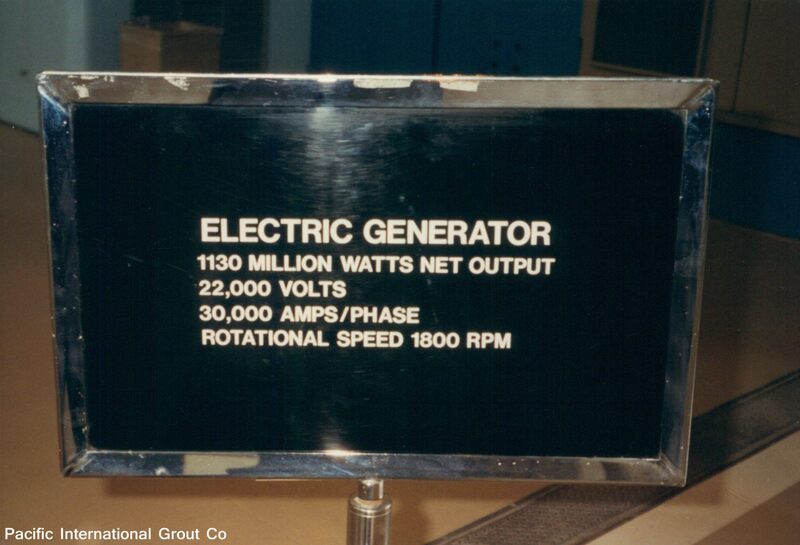 Any steam burst from cement heat of hydration concerned the Department of Energy that it could “set off” the Plutonium. 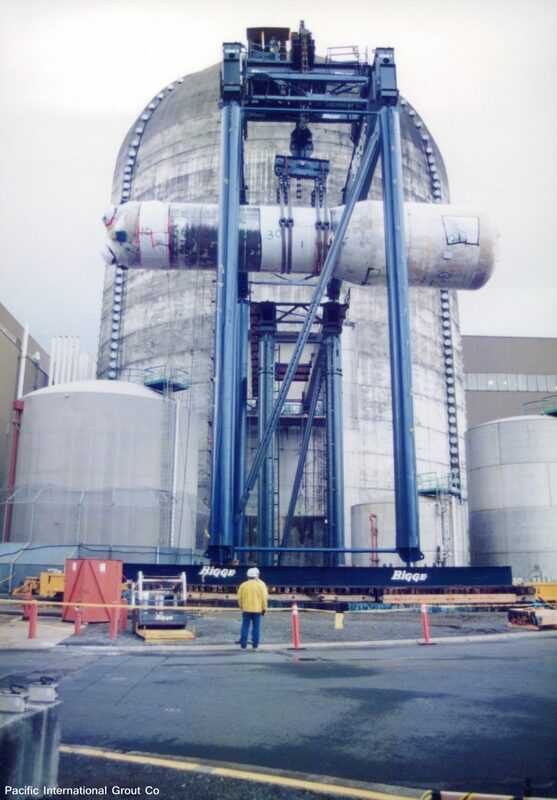 Backfill went uneventful and contractors later dissected the ponds by cutting into cubes and disposing at Hanford’s Disposal Restoration Facility in Central Hanford.